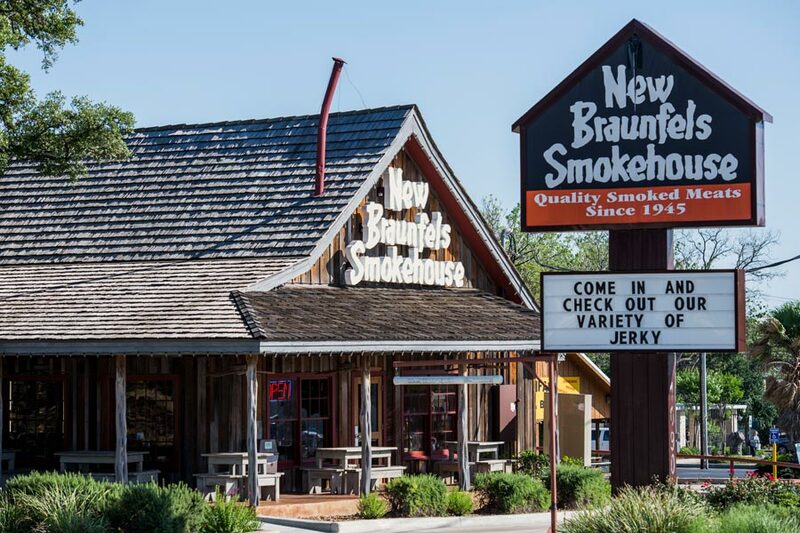 In 1952, the New Braunfels Smokehouse restaurant was born. Named the “Tastin’ Room” by Arabel and Russell Dunbar, the small restaurant attracted travelers driving between San Antonio & Austin. The architect, inspired by old Smoky Mountain smokehouses, designed a small building with walls that leaned & bent pipe chimneys. They completed the country look of the little store by locating it in a corn patch complete with cut-out pigs, cows, and a giant mountainman named Zeke. Arabel Dunbar furnished it with Early Texas furniture, not only because she loved the look, but it was inexpensive at that time. In 1967, with business growing, the original building was picked up and moved across the highway to the 4.7 acre corner of Highway 46 and 81. 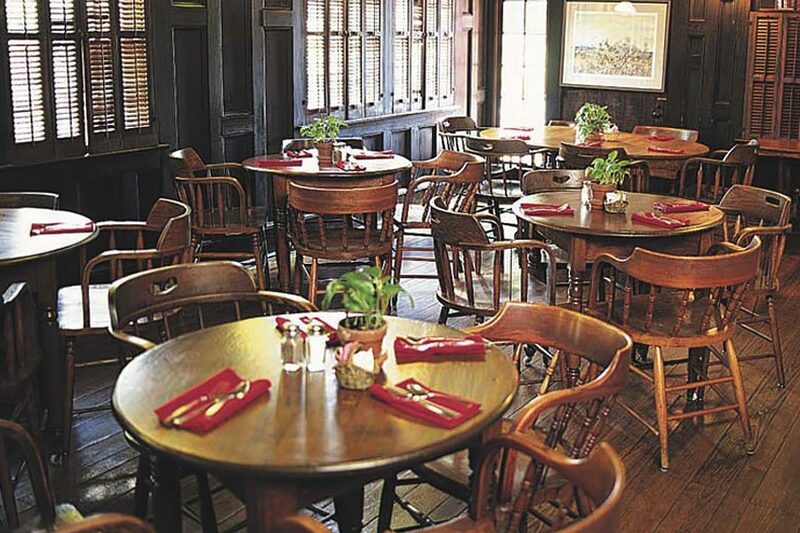 Through the years, additions were made to the restaurant when more seating was needed. 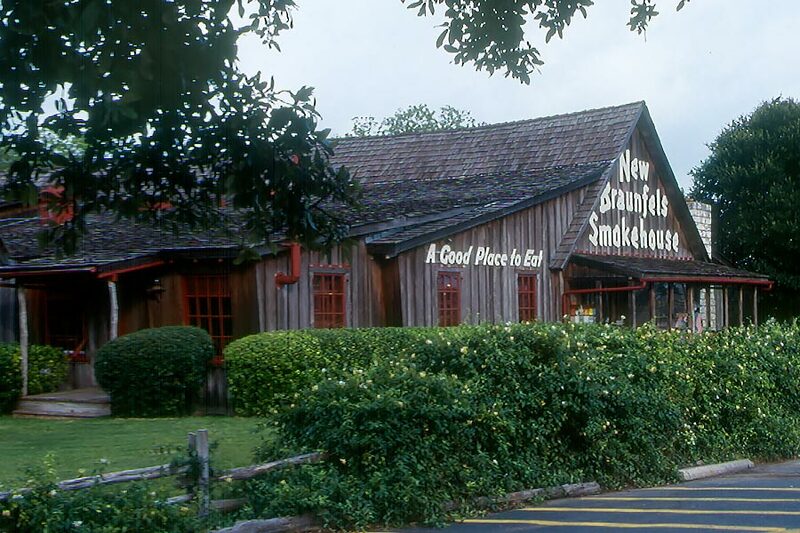 In 1988 The Yard opened which was an outdoor arbored eating area to accommodate the overflow of summer-time diners. 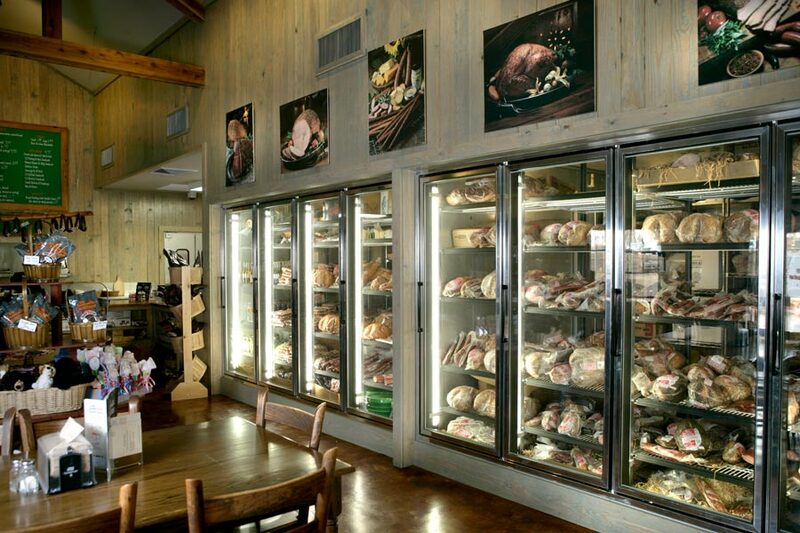 The most recent relocation of the Smokehouse restaurant took place during the summer of 2008. In June of 2008, the original restaurant closed. The building was carefully disassembled in order to save the doors, windows and siding and to move them to the new building on the adjacent property.